Many algorithms have been proposed to minimally refine abstract transition systems in order to get strong preservation relatively to a given temporal specification language. These algorithms compute a state equivalence, namely they work on abstractions which are partitions of system states. This is restrictive because, in a generic abstract interpretation-based view, state partitions are just one particular type of abstraction, and therefore it could well happen that the refined partition constructed by the algorithm is not the optimal generic abstraction. On the other hand, it has been already noted that the well-known concept of complete abstract interpretation is related to strong preservation of abstract model checking. 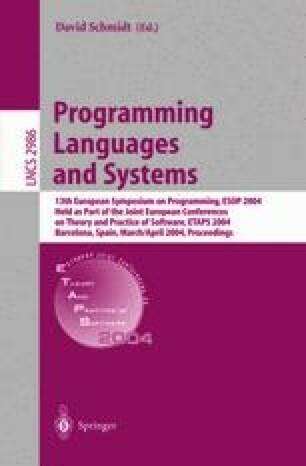 This paper establishes a precise correspondence between complete abstract interpretation and strongly preserving abstract model checking, by showing that the problem of minimally refining an abstract model checking in order to get strong preservation can be formulated as a complete domain refinement in abstract interpretation, which always admits a fixpoint solution. As a consequence of these results, we show that some well-known behavioural equivalences used in process algebra like simulation and bisimulation can be elegantly characterized in pure abstract interpretation as completeness properties.